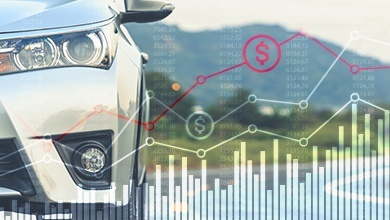 Our valuation and forecasting models allow for visibility, helping you fully understand how vehicle quality, reliability, design, performance, equipment and market-related factors can impact your Residual Values. 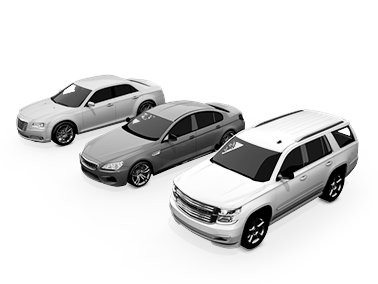 We explain every aspect, including the details of each input. No other organization can provide access to industry-leading data from these three resources, together: J.D. Power’s Voice of the Customer, AuctionNet® and The Power Information Network® (PIN) from J.D. Power. Our seasoned team of scientists, analysts and market experts utilize rigorous statistics and continuous testing to ensure accuracy. Over the years, we’ve developed an objective process for evaluating subjective factors that impact brand value and design, so you gain a clear understanding of your Residual Values and how they compare to the competition. 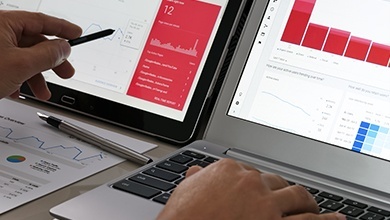 Work with our analysts to understand the factors impacting your Residual Values, and become empowered to improve them and strengthen your brand. 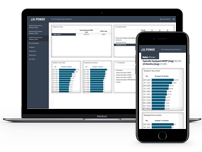 Gain access to an online dashboard providing visibility into the factors impacting both your Residual Values and your competitive positioning. Receive your Residual Values in a digital file. We’re always available to discuss the values and answer your questions. 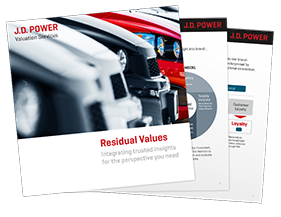 Fill out the form above to receive our Residual Values Brochure.